Siadbh Mc Givern is passionate about helping people overcome their life challenges. With warmth and compassion together with skills and experience Siadbh works with her clients to help create the positive changes they seek and to go on to live happy successful lives. She lives in Cork with her son and has over 30 years experience in the field of personal improvement. 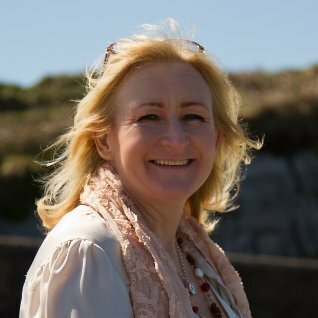 As a Coach and Therapist Siadbh uses EFT and Modern Energy tools to help people to identify and release their blocks that stop them from living the life they desire. This lifts them out of stress and on into empowered positive emotional states improving thinking, performance, relationships and life at the same time. Combining Coaching with education and Training, Siadbh offers foundation courses in the self help tools of EFT to help empower individuals to take responsibility for their themselves and to make the changes they seek. Siadbh is also qualified EFT Trainer since 2014 and offers professional training accredited by The Guild of Energists to professionals in the helping professions and those aspiring to follow a new deeply satisfying career helping others. After taking a look around the site contact Siadbh for a free initial consultation to explore your situation, needs and aims and to choose which of her services will help you in your next step returning to empowerment.